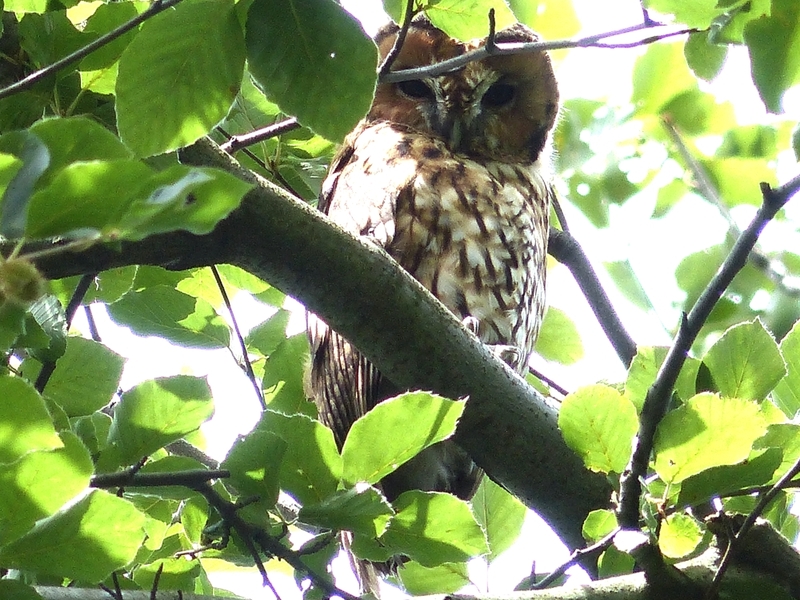 The female Tawny Owl was in the beech tree next to the nest tree. You can tell it is her by her tall black eyebrows. So in the past few days we have seen both parents and three young, not a bad sighting for this time of year. The Little Owl was in his usual place. He seems to have completely recovered his nerve and you can now walk right up to the tree without taking a detour or elaborately looking in the wrong direction as you approach. It also helps that he is right at the top of the tree now, at what he feels is a safe height above human interference. 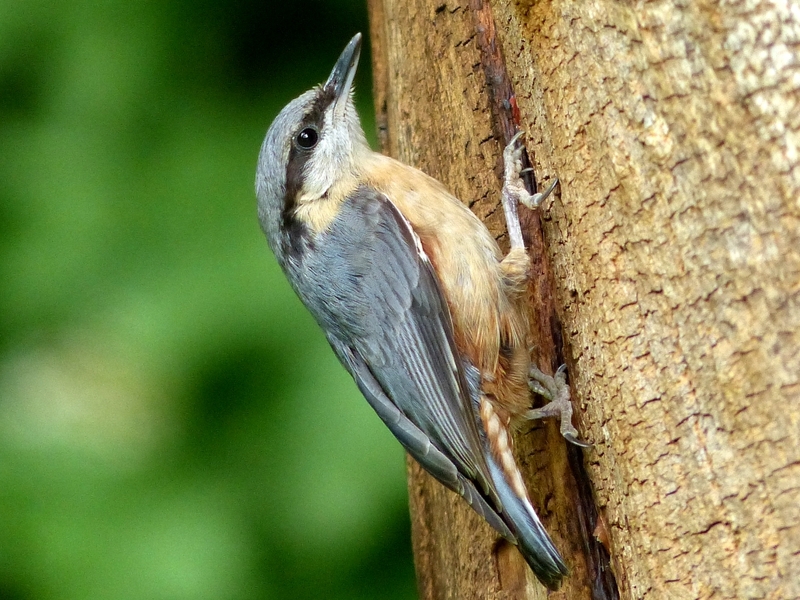 The Nuthatches were also in the same place, and so intent on digging out nuts left for them in the crack in the tree that they are taking no notice of us at all. Although I had a picture of one yesterday, I can't resist publishing this close-up shot of a bird securely clamped to the overhanging tree by its needle-sharp curved claws. As usual, a pair of Moorhens is nesting in a drain near the southwest corner of the bridge. Here one of them defies a Coot that has come too near the nest site. 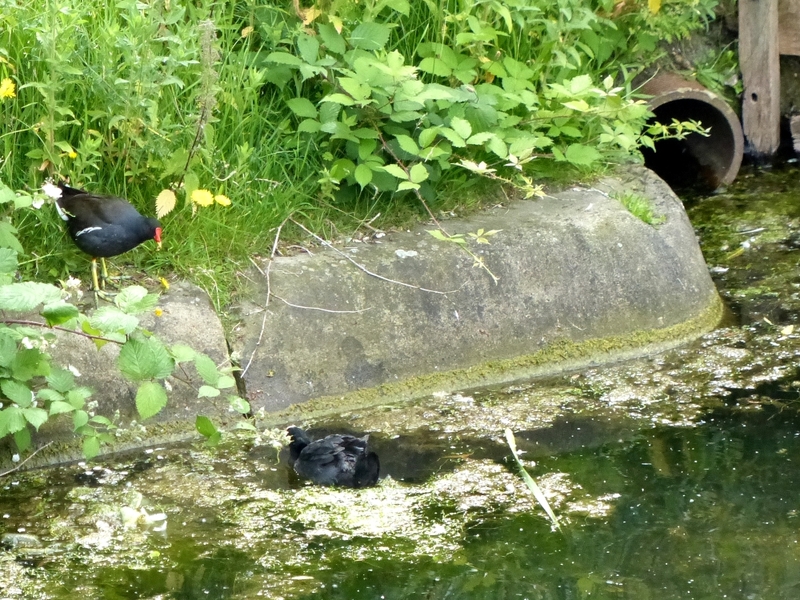 A Coot can easily beat a Moorhen in a fight, so the Moorhen does not want to provoke one and is staging its protest from a safe distance. 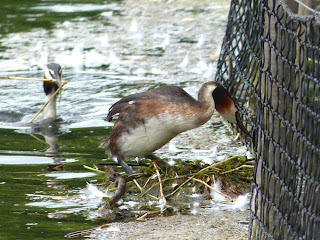 The Great Crested Grebes' nest attached to the net of the reed bed by the Diana fountain has at least one egg in it, in spite of its perilous site at the mercy of tourists in pedalos. You can just see the egg in this picture. While the male grebe turns the egg over to keep it evenly warmed, the female arrives with a bit of reed that she has stolen from a Coots' nest on the other (and safer) side of the net. She dismantled quite a lot of it, in spite of the Coots being there, and angry at the raid. When one of them tried to attack the grebe, she nonchalantly dived and rammed her opponent from underneath with her sharp beak. I only realised what had happened when the Coot jumped into the air and fled squawking, and a second later the grebe surfaced where it had been.